Professor Reich is Professor in the Division of Global Affairs and Department of Political Science at Rutgers University, and a leading international authority on globalisation and on human and national security. Professor Reich has had a distinguished career in academic research and administration. His work has been published in the leading journals in his field, and by major university presses. He played a significant leadership role in establishing the Ford Institute for Human Security in the Graduate School of Public and International Affairs at the University of Pittsburgh, an Institute that was created by funding that he generated. Reich served for six years as the inaugural director. 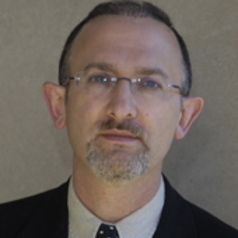 Professor Reich currently holds an appointment in the Division of Global Affairs at Rutgers University’s Newark campus. His recent books include The End of Grand Strategy (with Peter Dombrowski, Cornell University Press, 2018), Good-Bye Hegemony! Power and Influence in the Global System (with Richard Ned Lebow, Princeton University Press, 2014), Global Norms, American Sponsorship and the Emerging Patterns of World Politics (Palgrave, 2010), and Child Soldiers in the Age of Fractured States (University of Pittsburgh Press, 2009). His new project is on comparative grand strategy in the modern age.